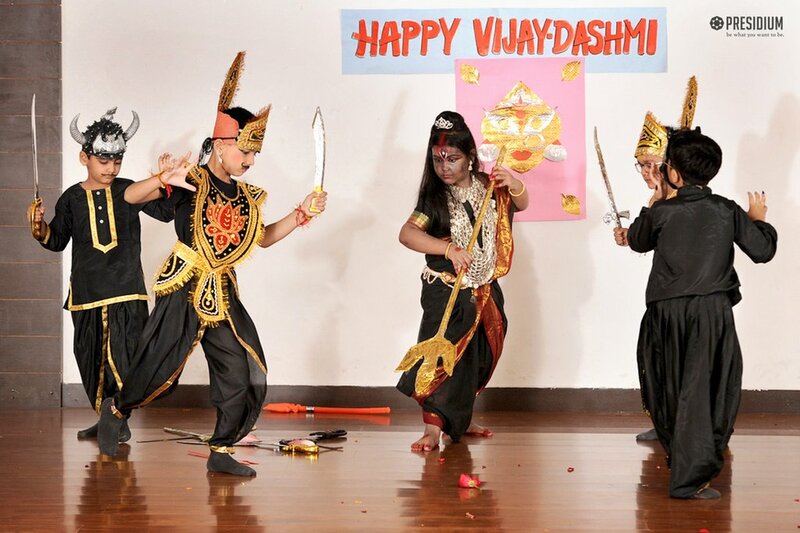 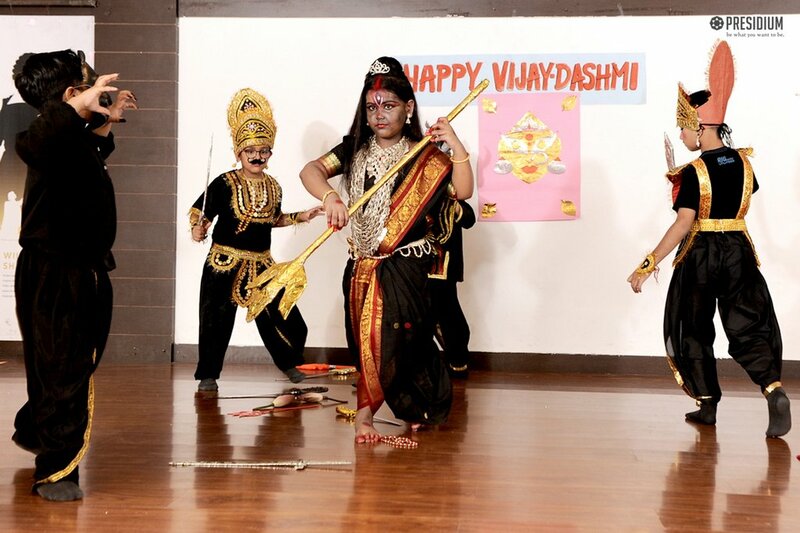 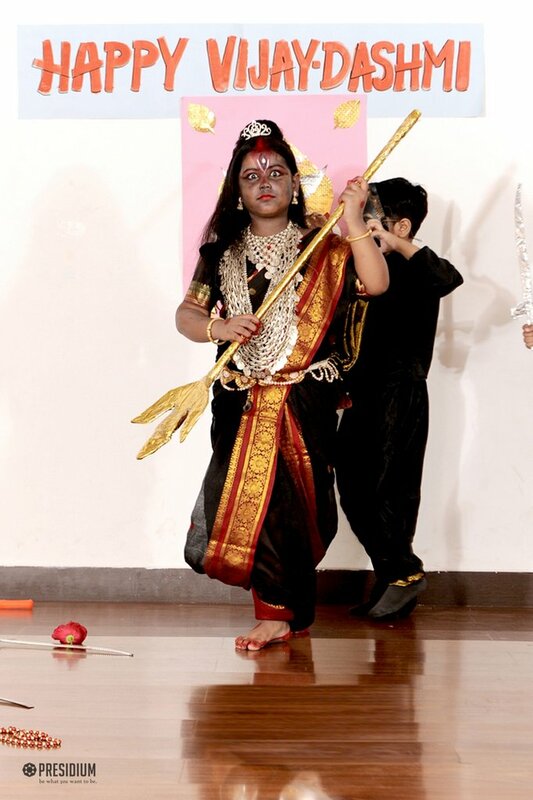 Marking the celebration of victory of good over evil, effigies of the demon king Ravana are burnt on Dussehra, to celebrate which, a special assembly was held on the occasion. 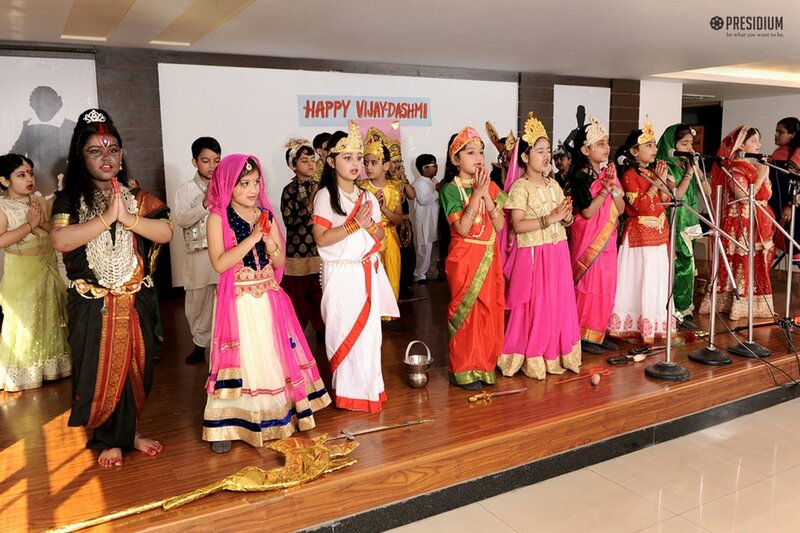 The assembly started with a captivating speech and a beautiful rhythmic Hindi poem by our confident students to give a vivid description of this festival. 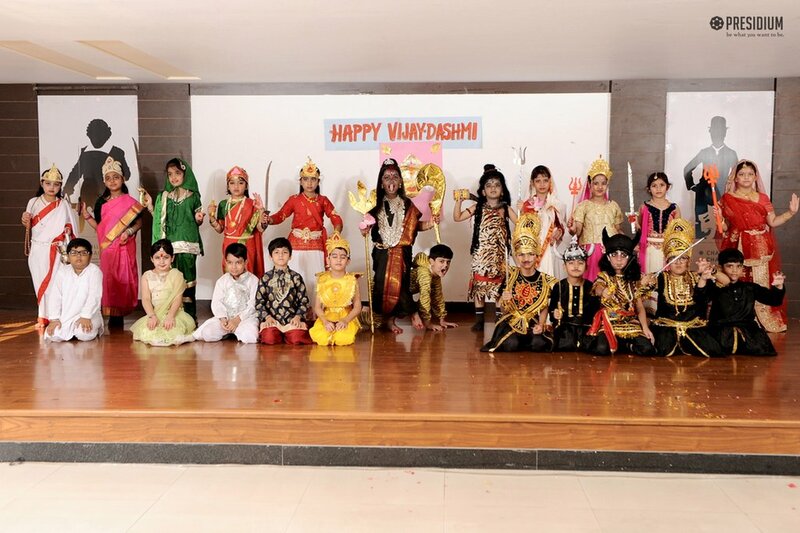 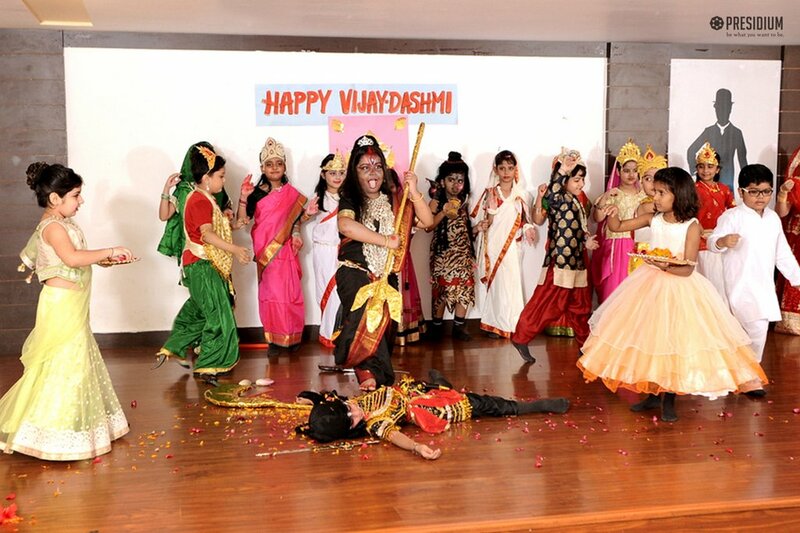 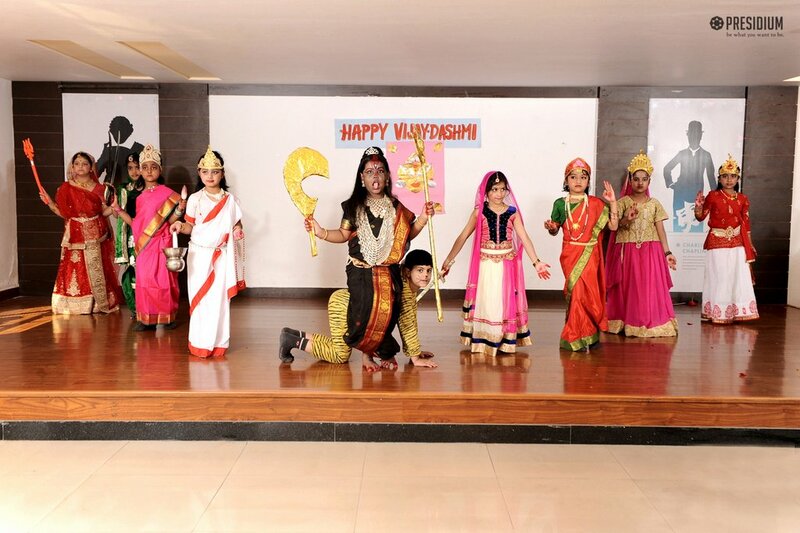 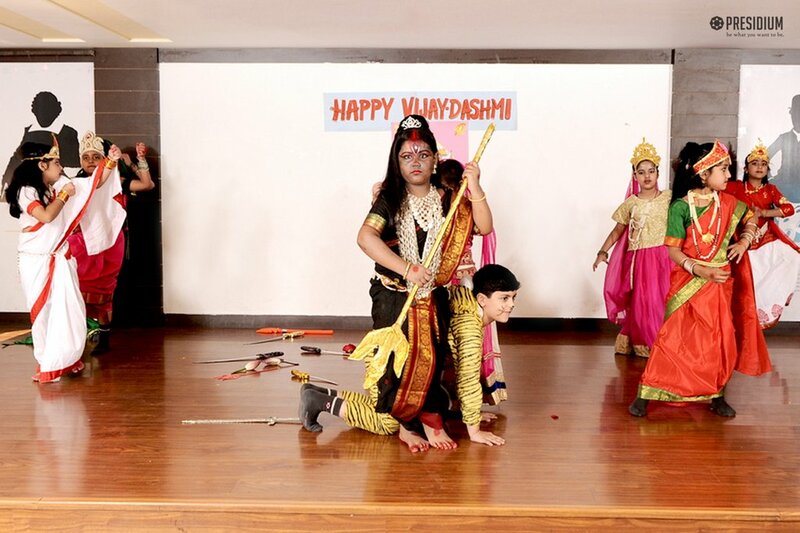 The students were delighted to share their learning from the festival of Dussehra in the form of a song. 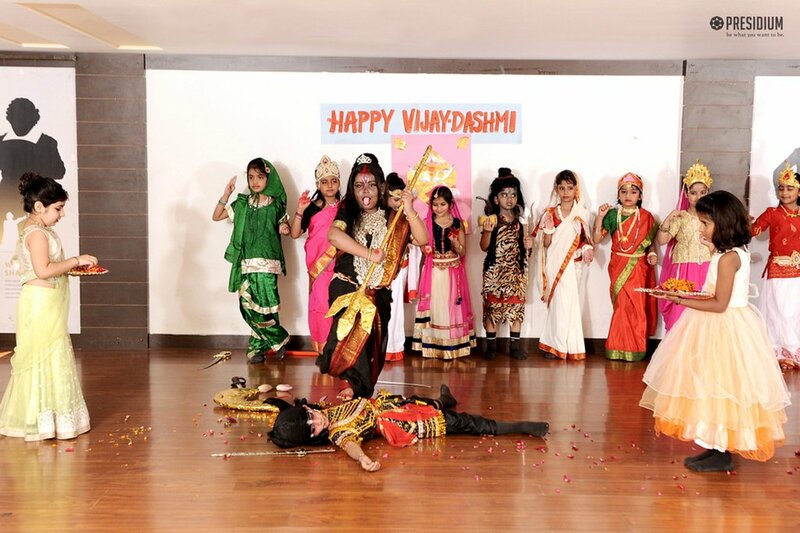 Our little ones enacted a short scene from Ramleela enthusiastically and reiterated the message of victory of good over evil. 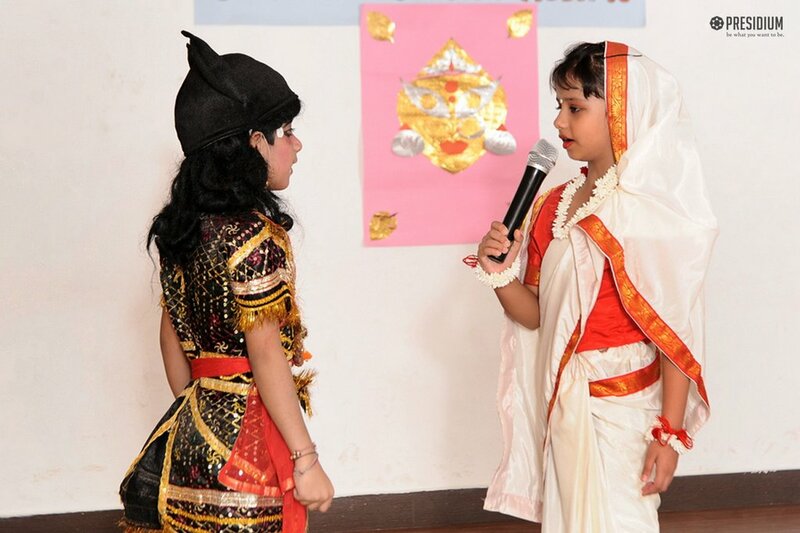 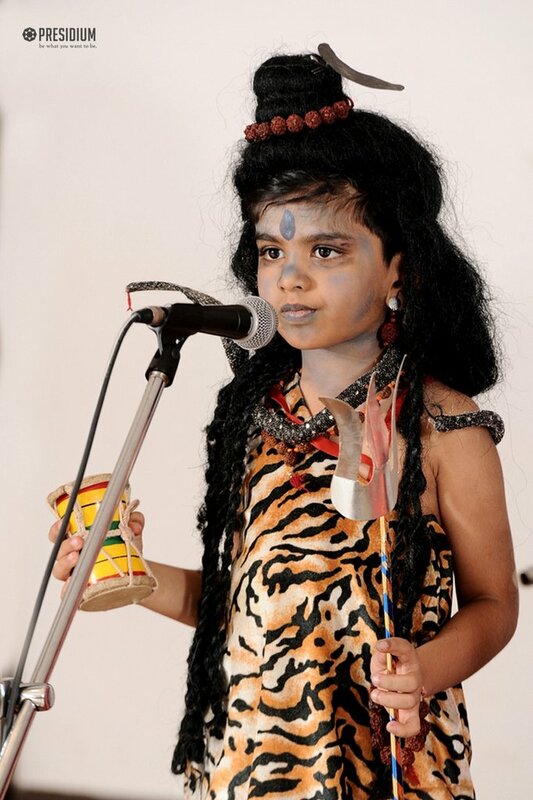 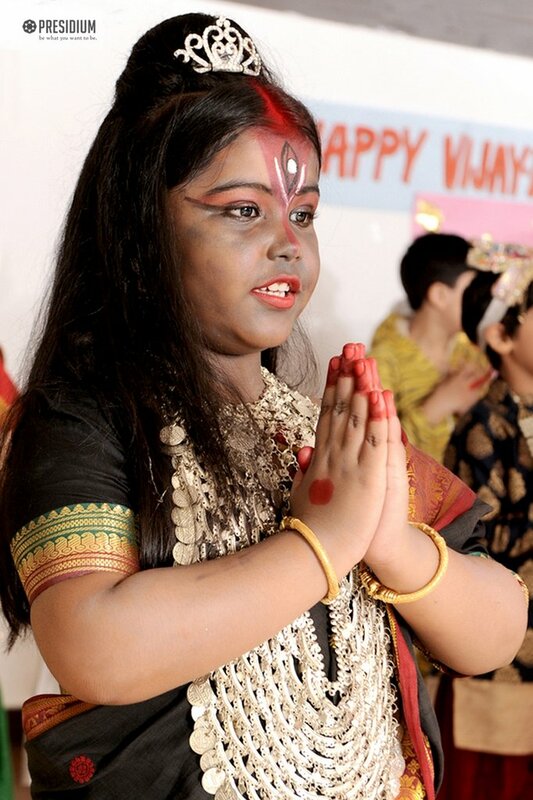 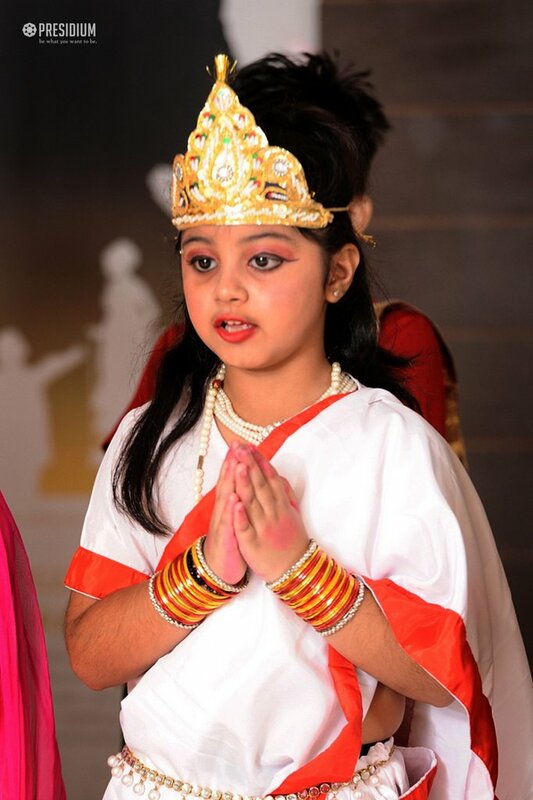 The children were beautifully dressed in costumes and confidently delivered their dialogues. 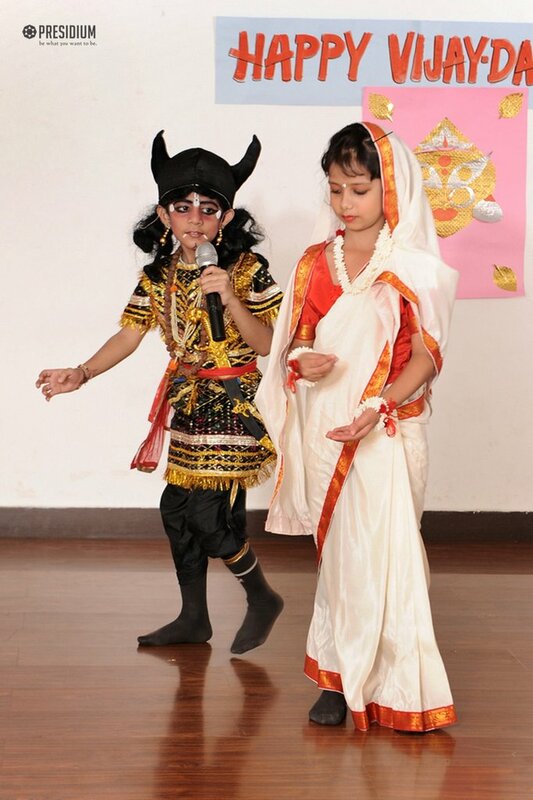 They seemed to thoroughly enjoy their parts! 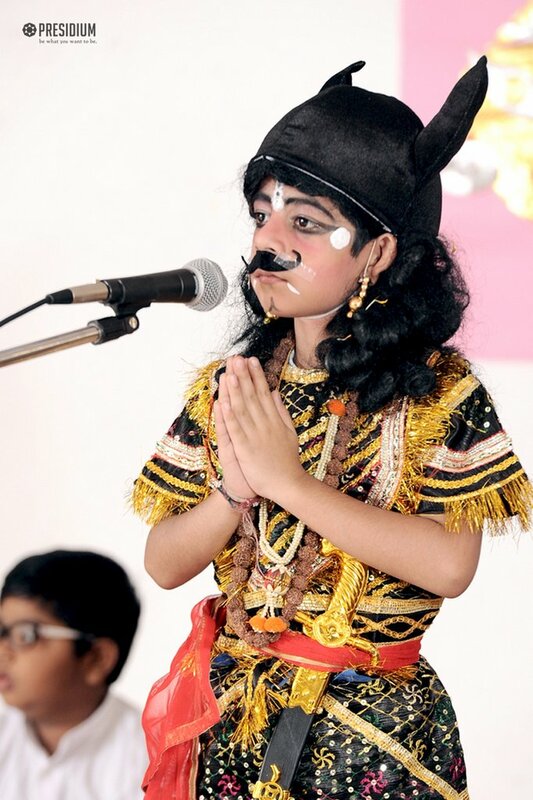 The theme was concluded by singing a devotional bhajan. 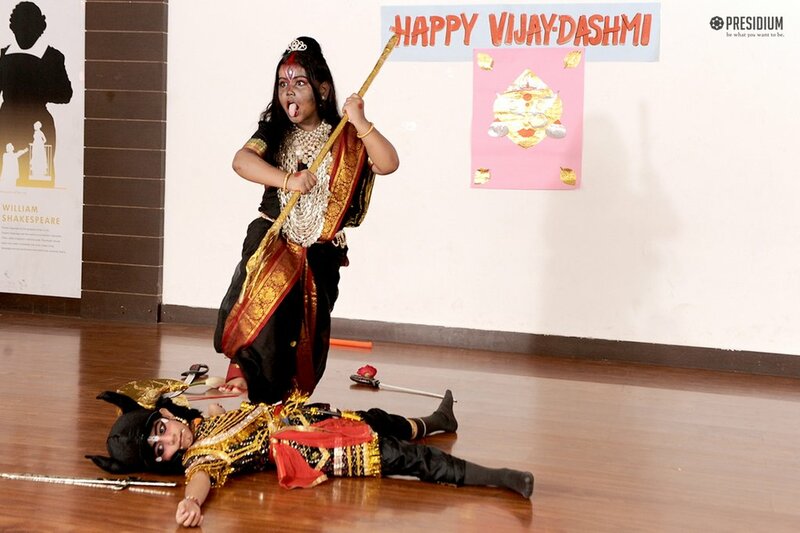 It was, truly, a memorable day for all.